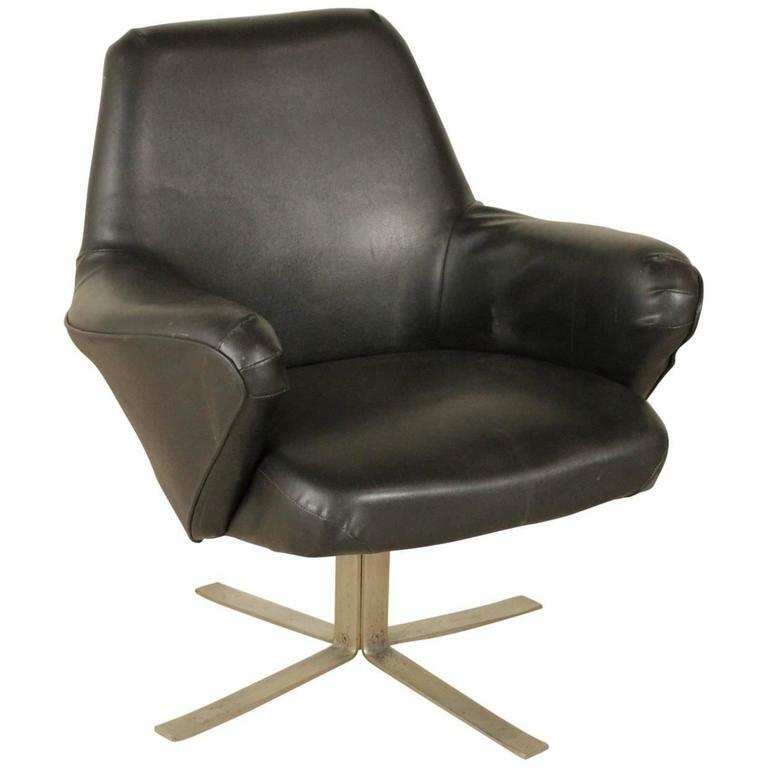 Chromed metal base, foam padding, leatherette upholstery. Swivel armchair designed by Giulio Moscatelli for Formanova. Model: Dolly. Chromed metal base, foam padding, leatherette upholstery. Mannufactured in Italy, 1960s-1970s.